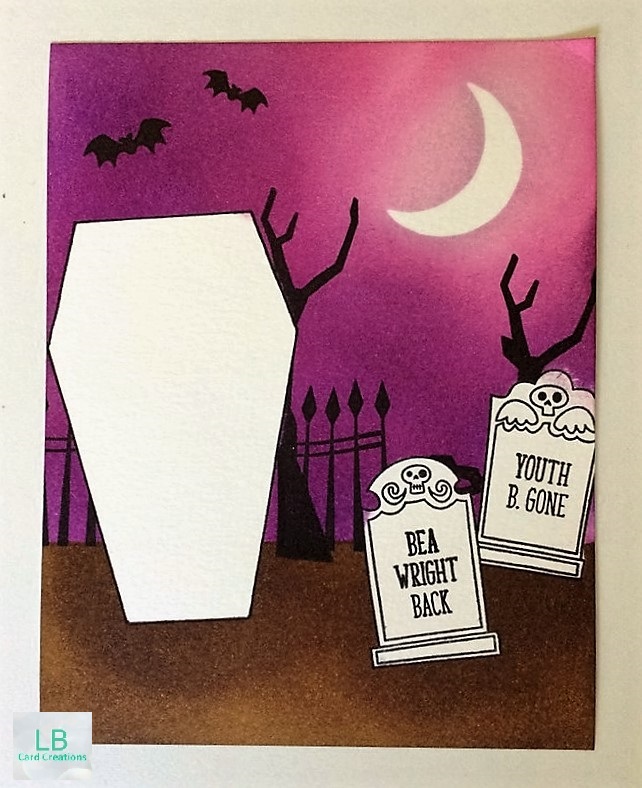 So I decided to make a Halloween card with new stamps from MFT (spooky sweets, frightful friends and grave situation). I love making Halloween cards although I've never celebrated it. In Austria it's not such an important day. However, the colors, images and the scenes you can create are awesome!!! I started by creating masks for a coffin, the moon, two tombstones and the ground and colored the rest in with distress inks. I blended purple colors for the sky and brown ones for the ground. Then I added the trees and the fence with black ink. I removed all the masks and colored in the images with distress colors too. For the coffin I chose brown colors which I layered in a messy way. Then I moved on to the fun part: I cut the coffin open with a cutting knife except for one side. 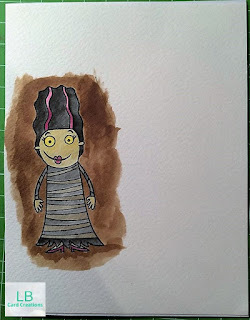 Then I took a second sheet of watercolor paper and stamped the human mummy which I also colored in with distress inks. I also added brown colors to the back and "inside" of the coffin.